These ain't yo' mama's pearls, that's for sure.... To ease into my next obsession, the single earring (coming next...stay tuned), I had to share with you guys these earrings that I've been coveting all summer. 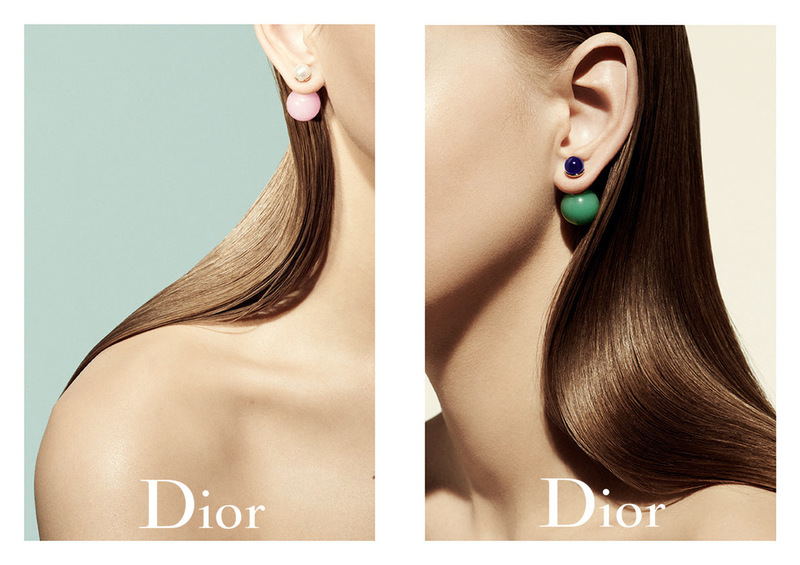 The Dior Mise en Dior Tribal Earrings were part of the 2013 pre-fall costume jewelry collection designed by Dior's accessory designer, Camille Miceli. With the growing popularity of the side-swept hair and the single earring trend, these sweet little boules have definitely rolled themselves into every fashionistas accessory drawer. I love them because they're sweet, yet edgy, classic, yet superbly modern, and trendy without being too exclusive.